The content of this capability guide does not constitute a solicitation, advice or recommendation by Innovate UK or KTN Ltd to purchase or sell any products, services or any interests described herein. The material provided is for guidance only and represents a snapshot of UK demographics, activity and capabilities at a point in time. The information is not updated regularly. Readers must make their own independent assessment of the analysis and recommendations and of its present day validity. None of the directors, employees, affiliates or advisers of Innovate UK or KTN Ltd shall be liable for any direct, indirect or consequential loss or damage suffered by any parties as a result of relying on any statement in, or alleged omission from, this document. 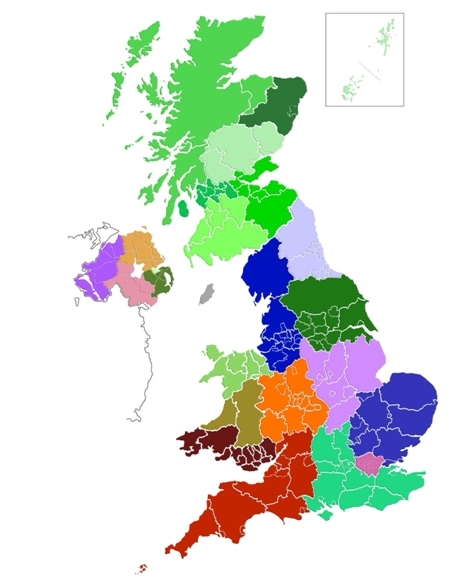 Click a map region, the links below or the 'Regions' menu above to access the information, browseable by section or in full text view.